As I mentioned on Monday, L.A. Times’ “The Find” column has been a goldmine of great lunches lately. And jokbal isn’t the only thing they’ve introduced to me over the past few months. 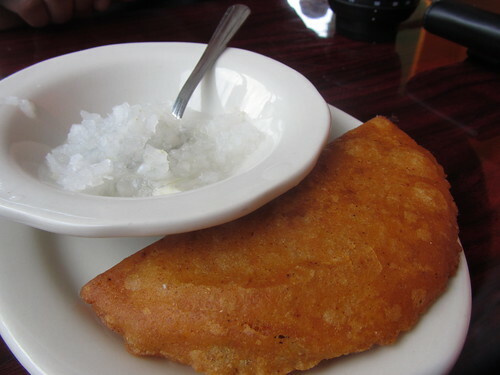 I also have to credit them with introducing me to the food of Belize. 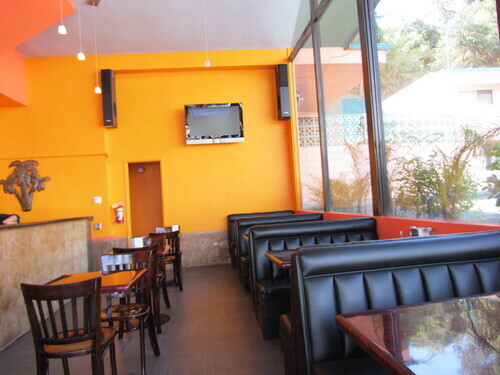 I do most of my weekday lunching between Downtown L.A. and Santa Monica, so it’s always exciting to find something super unique that doesn’t require driving to the South Bay, San Gabriel Valley or East L.A. A casual new Belizean place, on La Brea? Sounds perfect. Flavors of Belize is one of those discoveries that will put a huge smile on your face. Not just because the food is great, but because it is in a location that you have undoubtedly driven past a million times- not realizing that there was even a space to house a restaurant. Situated at the bottom of a motel in a little turnoff on La Brea, just south of where it where it veers West away from Highland, it’s not a huge surprise that Flavors of Belize has been practically empty both times I’ve been. Who the hell even knows it’s there!? The first hint of the goodness to come is delivered in a little saucer alongside thick tortilla chips. 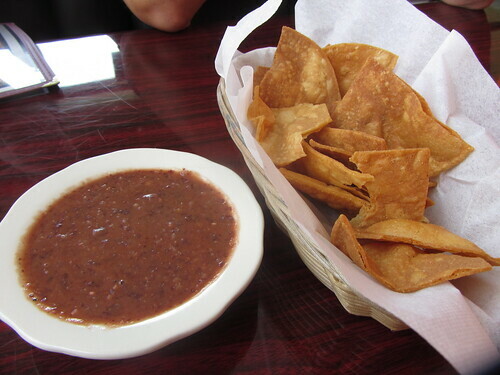 The bean dip has a real nice kick to it, and is a fun change of pace from the typical chips and salsa you get at many Central and South American restaurants. Don’t let it discourage you from ordering appetizers though. One thing I learned pretty quickly about Belizean food is you can’t ignore the apps. Thankfully they’re cheap enough that with a few friends you should have no trouble ordering one of each. The garnaches (a fried tortilla topped with bean dip, tomato sauce, and cheese) were fine, but not different enough from the free chips and bean dip to warrant spending the extra cash. 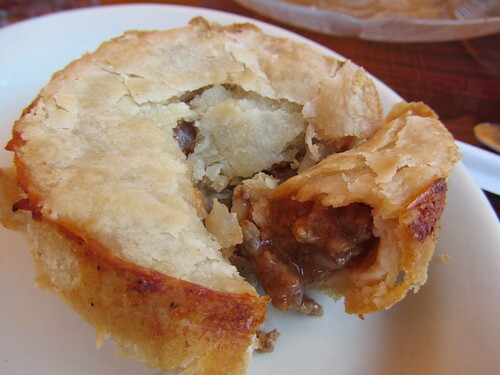 Or the meat pies ($1.50). 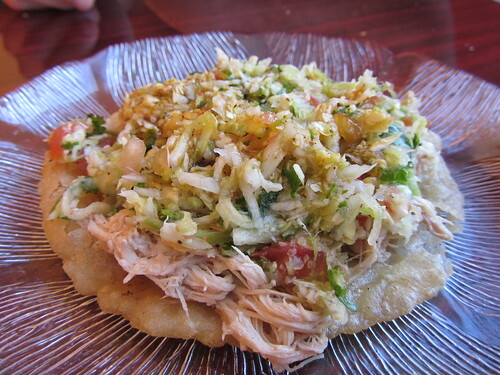 But even better are the salbutes ($1.75), a ground corn pancake topped with shredded chicken and cabbage sauce. 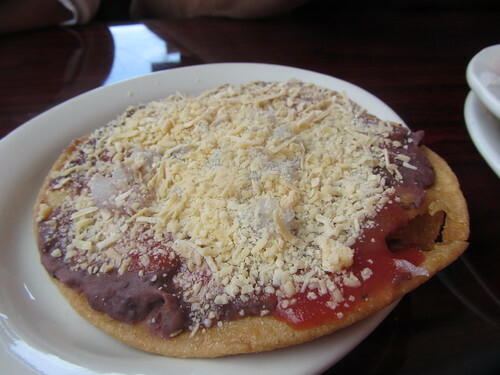 If a pupusa and a sope decided to have an affair, this is likely what would come out. The conch fritter was also awesome. Forget everything you learned about conch fritters during that spring break trip to Key West. 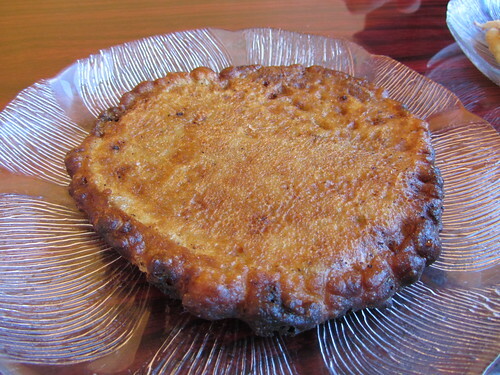 The Belizean version is more like a fried conch pancake, and tastes great with a little of their habanero hot sauce. For entrees, stew chicken is a standard order. 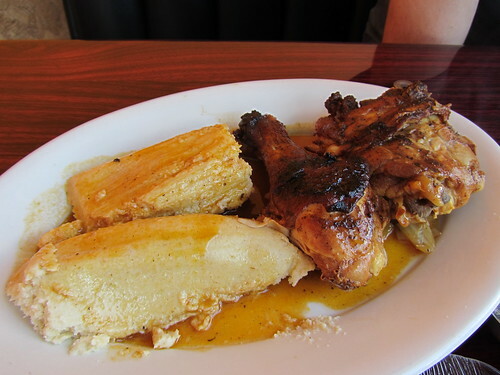 You can get it with rice and beans, but a far better choice is as a plate with ducunu, traditional Belizean tamale cooked in a banana leaf. Dark meat is $9.99, white meat $10.99 (or you can get stew beef or stew pork for $11.99) So simple, but so flavorful. And the ducunu did its job, sopping up all the delicious juices. But the best meat option is the oxtails ($12.99). It’s a bit more than I like to spend on lunch, and the amount of meat you get isn’t ridiculously enormous, but if you like your oxtails stewed to a deep dark brown stickiness, this is likely to be one of the best oxtail dishes you’ve ever had. Plantains for sweetness, and a crisp slaw for coolness provide the perfect accompaniment. Even better than the chirmole (for us) was the escabeche. 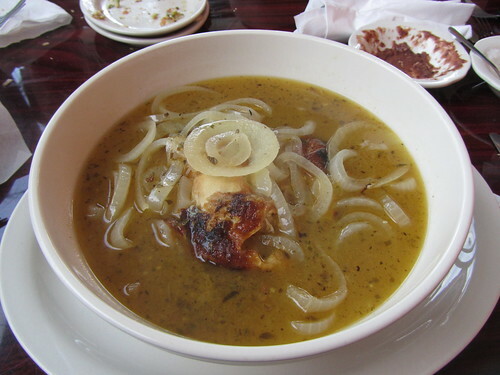 Not to be confused with ceviche or Jamaican escabeche, Belizean escabeche is a citrus-y soup with a pan fried quarter chicken, covered in onions. If you like cooked onions, and you like chicken, and you like lemon, you will LOVE this soup. 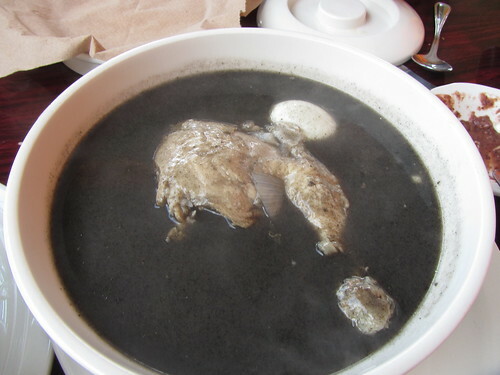 You get a huge bowl for around $10 and unlike the chirmole, the chicken gets pan fried before going into the soup, so the texture is far better than the rubbery skinned chicken that comes in the black soup. It was like nothing I’ve ever had before, while being simultaneously familiar (almost like a Greek avgolemono). The menu says it’s only available on certain days, but recently they’ve had it every day… and that’s a good thing, because it will be hard to go back to Flavors of Belize and not order this. Both soups come with warm corn tortillas. The most upsetting thing about Flavors of Belize is the fact that it seems to always be empty during lunch, so sometimes they have things, and sometimes they don’t. And it doesn’t seem like they have settled on a final menu. For example, the take out menu shows $5 lunch specials (what!?) But the printed menu you get when you sit down at at a table, doesn’t. And there have already been some menu casualties (like the fried chicken, which they no longer serve.) But I blame those things on you, not them. Well, you and me. We need to be eating at this place more! Because if we don’t support great places like Flavors of Belize, they won’t survive. And we’ll be forced to drive down to Inglewood or South Gate for a taste of Belize. It is really hard to find chirmole. Can’t believe this place is on La Brea. I love lemon-y soups, and that escabeche is damn good. Posted by Zach Brooks at 10:30 am, May 25th, 2011 under Belizean, Flavors of Belize, Mid-City/Miracle Mile. This place is great, I can’t wait to go back. Those meat pies look insanely good. We visited for lunch and we were the only ones there. One carryout order was the only other transaction during that time. If you’re going to make the trip, you should call ahead and see what they’re out of. 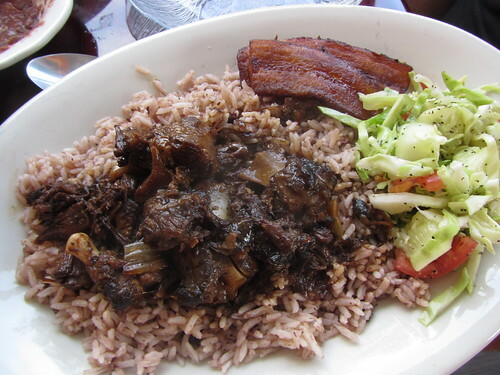 No ox tails and only a single meat pie (they usually serve three with each order) on offer. The food was ok, not great. They might be losing their spirit due to lack of business.